These earrings have a little touch of India inspiration. They show two cabochons of black onyx. 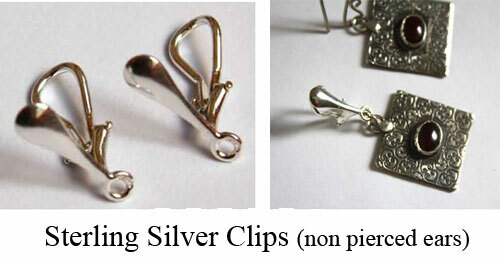 Small sterling silver balls are soldered on the lower part of the earrings. I made this set to strengthen the raw aspect of this jewel. The discs in the lower part have been slightly hammered. They have been polished, oxidized and brushed to give a vintage effect.